As the new year draws closer, Valley residents will undoubtedly start making their 2019 New Year’s resolutions. For many drivers, a good resolution would be to treat our cars and our bodies better. A great place to start is with an easy, cost-effective investment like window tinting, but prices for this upgrade can range from budget-friendly to steep. Choosing the right tint for your vehicle will depend on your budget and the features you’re looking to get out of your tint. 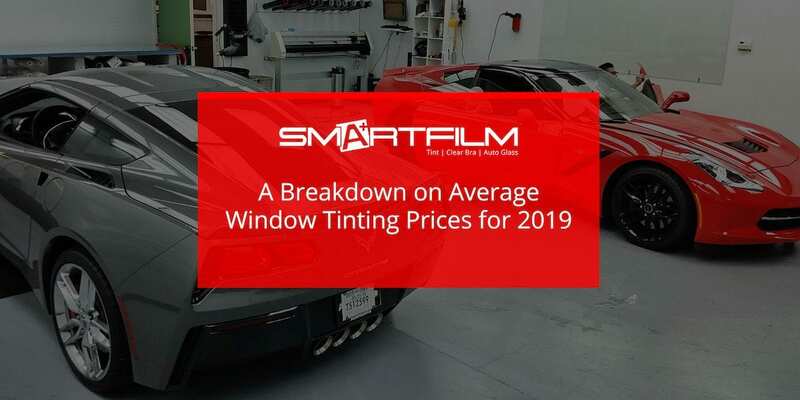 A number of factors go into the window tinting prices you pay, from the size of your car and whether you tint all or a portion of it, to the brand of tint and whether it has basic or premium features. Dyed tint and metallized tint are affordable options for heat protection and aesthetic appeal, while carbon and ceramic tints are considered premium quality. Popular brands of window tint include Llumar, Solar Gard, SunTek, Huper Optik, and 3M. A premium brand such as Llumar, for example, offers dyed, metallized, and ceramic tints to choose from. On average, professional window tinting installation prices for your entire vehicle tend to range from $100 – $200 for a basic tint and from $200 – $250 for a premium tint. If you only want to tint the front portion of your vehicle, each window or section will likely run you between $25 – $50, though oftentimes there are discounts for tinting your whole vehicle at once. Choose the best window tint for your needs and you’ll save money in the long-run. Call Us Today for a Quote on Our Window Tinting Prices! When it comes to choosing automotive window tinting, prices are an important factor to consider. Advice from a professional installer is a valuable thing. Call us today to learn more about your options and to get a quote on our installation services!